Regular new production ensures a constant flow of new 6', 8', 10', 20' and 40' storage containers into our global depot network. 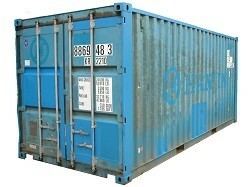 20' and 40' standard, high cube, side door, tunnel containers, open top and other bespoke designs. Used storage containers are an inexpensive and prompt solution if you need additional dry storage space. Special storage container types like side doors and tunnel containers are often only available as new or in slightly used condition from our rental fleet. Unless otherwise agreed we sell in repaired wind and wateright condition.